1. After logging in, you’ll see the Dashboard page. 2. 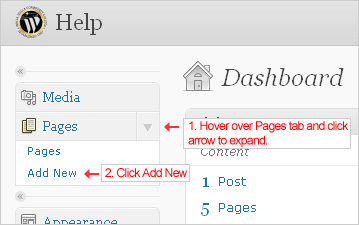 Hover your mouse over the Pages tab and click the arrow to expand & view options. 3. Click Add New under the Pages category. 4. Next, you’ll see the Add New Page screen. 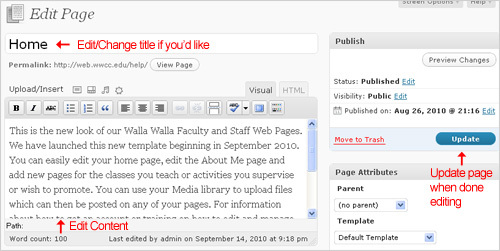 This is where you can write your page by adding your page title and content. 5. Once you have written your page, you can either Publish it or Save As Draft, plus choose from other options under the Publish category. Status: Change your pages status to either Published, Draft, or Pending Review. Visibility: Make your page either Public, Password protected, or Private. 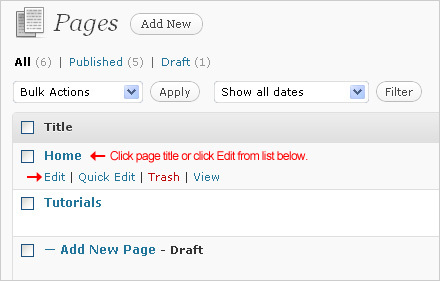 Publish immediately: Choose to publish your page right away or set a date to be published. 6. 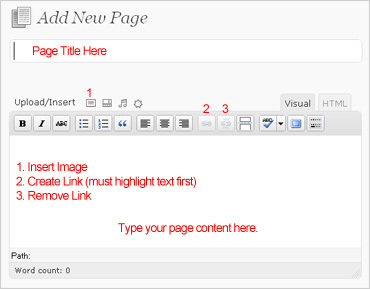 Press the Publish button once you are done with your page and ready to add your new page. 1. To edit a page, click on the Pages tab on the left-hand side menu. 2. Once you see the Pages screen, you’ll see all of the pages you currently have. 3. To Edit a page, you can either click on your Page Title, or once you hover over your page title you’ll see more options, and you can click on Edit to continue editing your page. * These extra options give you quick and easy access to your page’s editing options where you can either do a full Edit, a Quick Edit, delete your page & send to Trash, or View your page. 4. Once you click Edit, you’ll be in the Edit Page screen. 5. 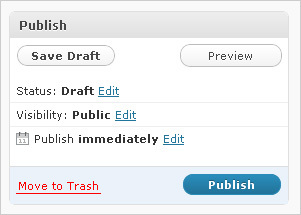 Once you are done editing your page, click the blue Update button on the right side under the Publish category to save your changes and update your page.